The Taste the World Garden is happening this Saturday, September 7, 2013 from 2pm - 5pm. The International Culinary School at The Art Institute of Fort Lauderdale is hosting the event that'll benefit Common Threads. Students from the school will be preparing food from Africa, Asia, Australia, the Americas and Europe. In addition, there will be a cooking demonstration by a local guest chef, raffles and a live auction of numerous items donated by business owners from across South Florida. Tickets are $25 in advance and $30 at the door. Get the Cluck outta here! 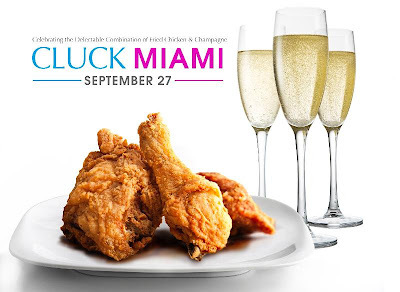 This event promises to be a Fried Chicken and Champagne extravaganza. Guests will enjoy bubbly from Veuve Clicquot Champagne during the initial reception hour. 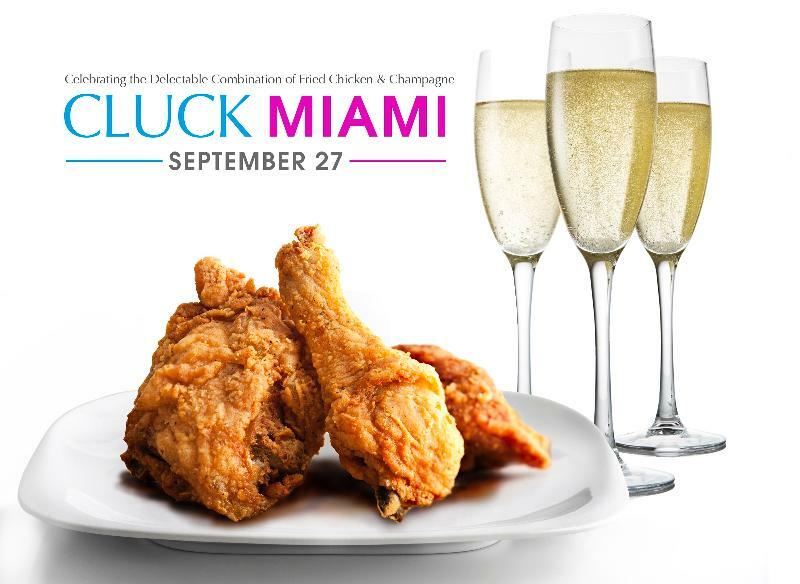 Guests will then grub on fried chicken from some of Miami's most popular restaurants. The event benefits Ronald McDonald House and it's going down September 27, 2013 from 7pm-11pm at Studio 255 in Wynwood. Presale tickets are $85 and $100 at the door. However, if you use the discount code, "Cluck25" you can cash in on a 25% discount. The event Get Bald At Mickey's is a fundraiser happening September 21, 2013 at 4pm. The event is taking place at Mickey Byrnes Irish Pub in Hollywood. There will be a huge raffle with all proceeds going to the St. Baldrick's Foundation, an organization that raises funds to bring an end to childhood cancer. Raffle items include gift certificates to Blue Collar, Eating House, Mojo Donuts and many more. There will also be a silent auction, some of the items being auctioned off will include: VIP tours of Funky Buddha Brewery, Wynwood Brewery and more. Not interested in a raffle or a silent auction? No worries, a bunch of dudes will be ceremoniously shaving their heads at the event. Last, but definitely not least, we have Dine Out For No Kid Hungry. Through out the entire month of September, restaurants across South Florida (nearly 80 restaurants in total) are going orange and working to put an end to childhood hunger. Local participating restaurants include SuViche, Haven Gastro-Lounge, Edge Steak and Bar and many more. Restaurants will be donating a part of their proceeds this month to Share Our Strength. Be sure to inquire at the restaurant, as some locations will have a separate menu for this campaign.